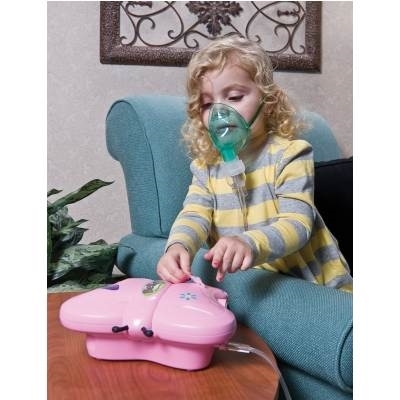 The John Bunn Butterfly Nebulizer has a compact design with rounded corners, integrated carrying handle with storage compartment and built-in nebulizer holder. The JB0112-071 is a high-quality, low-noise aerosol compressor with user-friendly design. And it's designed specially for children. 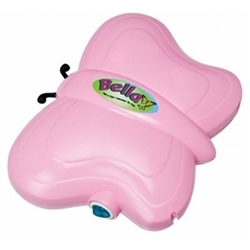 Designed with an attractive butterfly shape and colorful stickers to personalize, Bella Butterfly will keep child relaxed and entertained during aerosol treatment. Reliable piston-driven motor ensures high performance and long life.